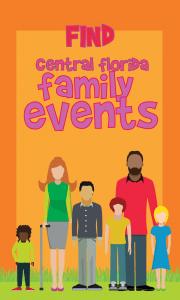 We run a Central Florida Family Contest through MyCentralFloridaFamily.com on a regular basis. 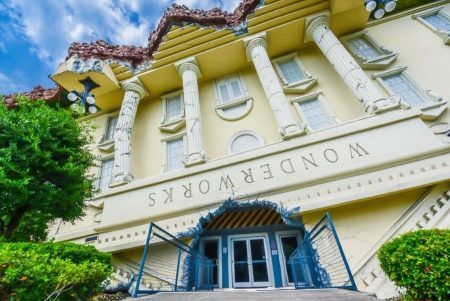 Whether we’re giving away tickets leading up to the Florida Kids and Family Expo, at the Florida Kids and Family Expo or on a regular basis throughout the year, we work to give away prizes to our followers as a way to say thank you for following us! To find our current giveaways, simply head to our red tool bar and all the way to the right, you’ll see our contest tab. If you hover over the tab, you’ll see a drop down of our latest contests! It’s that easy. If you don’t see anything drop down, we’re not currently running any contests, but that can change at any time, so be sure to check back often! 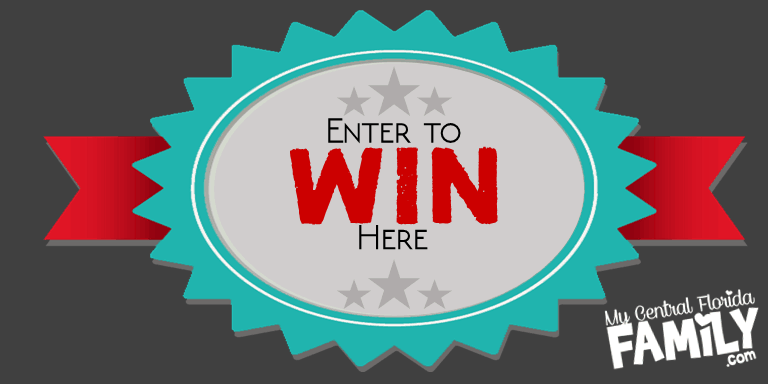 Mostly, our contests are run through our Facebook page. So, if you’ve not liked our page yet, you can click here and like us to follow us! We normally post our contests to the top of the page, but we may have additional contests running at one time, so be sure to check here for our current contests. 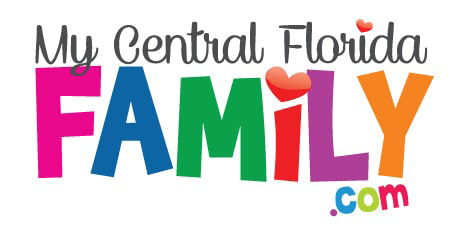 If you want to offer a Central Florida Family Contest giveaway through MyCentralFloridaFamily.com, please contact us at Brandi@MyCentralFloridaFamily.com and let us know what you would like to offer to our followers! We thank all of our contributors. MyCentralFloridaFamily.com Contest (the “Contest”) is open to legal residents of the fifty (50) United States and the District of Columbia who are at least eighteen (18) years old at the time of entry. 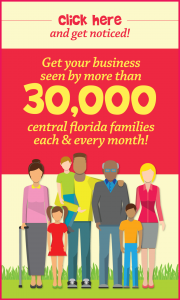 Employees of MyCentralFloridaFamily.com and other companies associated with the promotion of the Contest, and their respective parents, subsidiaries, affiliates and advertising and promotion agencies as well as the immediate family (spouse, parents, siblings, and children) and household members of each such employee are not eligible. The Contest is subject to federal, state, and local laws and regulations. The Contest is sponsored by MyCentralFloridaFamily.com, located at PO Box 622281, Oviedo, Florida 32762. Participation in the Contest constitutes entrant’s full and unconditional agreement to and acceptance of these Official Rules and the decisions of the Sponsor, which are final and binding. Winning a prize is contingent upon being compliant with these Official Rules and fulfilling all other requirements set forth herein. Online: This method of entry will be available by visiting our website (www.MyCentralFloridaFamily.com) under the Contest tab and following the directions provided to submit. 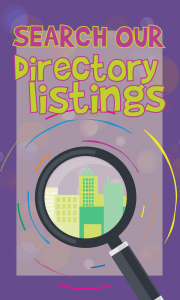 All entries become the property of Sponsor and will not be acknowledged or returned. The Sponsor will select potential winners in a random drawing from among all eligible entries received. The odds of being selected depend on the number of entries received. The Sponsor will attempt to notify the potential winner via Facebook, Facebook Messenger or email (if provided) on the date specified in each contest. If the potential winner cannot be contacted within five (5) days after the date of the first attempt to contact him/her, the Sponsor may select an alternate potential winner in his/her place at random from the remaining non-winning, eligible entries. The potential winners will be notified by Facebook. If a potential winner cannot be contacted within the required time period (if applicable), or prize is returned as undeliverable, potential winner forfeits prize. If the potential winner is at least 18 but still considered a minor in his/her jurisdiction of residence, Sponsor reserves the right to award the prize in the name of his/her parent or legal guardian on the potential winners behalf and fulfill any other requirements imposed on winner set forth herein. Potential winners must continue to comply with all terms and conditions of these Official Rules, and winning is contingent upon fulfilling all requirements. 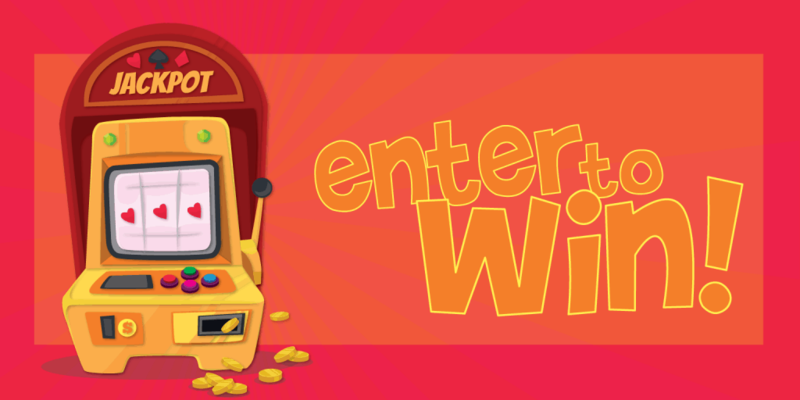 In the event that a potential winner is disqualified for any reason, Sponsor will award the applicable prize to an alternate winner by random drawing from among all remaining eligible entries. Only three (3) alternate drawings will be held, after which the prize will remain un-awarded. Prizes will be fulfilled approximately 8-10 weeks after the conclusion of the Contest. In the event that the operation, security, or administration of the Contest is impaired in any way for any reason, including, but not limited to fraud, virus, bug, worm, unauthorized human intervention or other technical problem, or in the event the Contest is unable to run as planned for any other reason, as determined by Sponsor in its sole discretion, the Sponsor may, in its sole discretion, either (a) suspend the Contest to address the impairment and then resume the Contest in a manner that best conforms to the spirit of these Official Rules or (b) terminate the Contest and, in the event of termination, award the prize at random from among the eligible, non-suspect entries received up to the time of the impairment. The Sponsor reserves the right in its sole discretion to disqualify any individual it finds to be tampering with the entry process or the operation of the Contest or to be acting in violation of these Official Rules or in an unsportsmanlike or disruptive manner. Any attempt by any person to damage the website or undermine the legitimate operation of the Contest may be a violation of criminal and civil law, and, should such an attempt be made, the Sponsor reserves the right to seek damages (including attorney’s fees) and any other remedies from any such person to the fullest extent permitted by law. Failure by the Sponsor to enforce any provision of these Official Rules shall not constitute a waiver of that provision. By participating in the Contest, entrants agree to release and hold harmless the Sponsor, and each of their respective parents, subsidiaries, affiliates, advertising and promotion agencies, other companies associated with the Contest, and each of their respective officers, directors, employees, shareholders, representatives, and agents (the Released Parties) from and against any claim or cause of action arising out of participation in the Contest or receipt or use of the prize (including any travel or activity related thereto), including, but not limited to: (a) any technical errors associated with the Contest, including lost, interrupted or unavailable Internet Service Provider (ISP), network, server, wireless service provider, or other connections, availability or accessibility or miscommunications or failed computer, satellite, telephone, cellular tower or cable transmissions, lines, or technical failure or jumbled, scrambled, delayed, or misdirected transmissions or computer hardware or software malfunctions, failures or difficulties; (b) unauthorized human intervention in the Contest; (c) mechanical, network, electronic, computer, human, printing or typographical errors; (d) application downloads, (e) any other errors or problems in connection with the Contest, including, without limitation, errors that may occur in the administration of the Contest, the announcement of the winner, the cancellation or postponement of the event and/or the flyover, if applicable, the incorrect downloading of the application, the processing of entries application downloads or in any Contest-related materials; or (f) injury, death, losses or damages of any kind, to persons or property which may be caused, directly or indirectly, in whole or in part, from entrants participation in the Contest or acceptance, receipt or misuse of the prize (including any travel or activity related thereto). Entrant further agrees that in any cause of action, the Released Parties liability will be limited to the cost of entering and participating in the Contest, and in no event shall the entrant be entitled to receive attorney’s fees. Released Parties are also not responsible for any incorrect or inaccurate information, whether caused by site users, tampering, hacking, or by any equipment or programming associated with or utilized in the Contest. Entrant waives the right to claim any damages whatsoever, including, but not limited to, punitive, consequential, direct, or indirect damages. Except where prohibited, each entrant agrees that any and all disputes, claims and causes of action arising out of, or connected with, the Contest or any prize awarded shall be resolved individually, without resort to any form of class action, and exclusively by the appropriate court located in Florida. All issues and questions concerning the construction, validity, interpretation and enforceability of these Official Rules, entrants rights and obligations, or the rights and obligations of the Sponsor in connection with the Contest, shall be governed by, and construed in accordance with, the laws of Florida, without giving effect to any choice of law or conflict of law rules, which would cause the application of the laws of any jurisdiction other than Florida.